Here’s a rundown of our favorites, including our top pick – Braun Silk-épil SkinSpa. For those who want to achieve soft, smooth, and hairless skin without a trip to the spa, an epilator is a girl’s best friend. Epilators work to remove hair at a follicle level, similar to waxing. However, unlike waxing, an epilator does not remove epithelial cells from the epidermis. This small, yet powerful, electrical device grasps multiple hairs simultaneously and pulls them out. Epilators can be used on nearly any area of the face and body in which hair grows, including unwanted hair on the arms, legs, and underarms. For women who want to be smooth from head-to-toe, epilators can also be used to achieve a Brazilian. After testing numerous epilator devices, I found the best epilator for Brazilian treatments to have multiple speed settings to accommodate all users. Hair in the bikini area is known to be course and will often grow in different directions, making hair removal painful. Having a versatile epilator device can make hair removal more comfortable. Of course, there are other important functions that can alter the effectiveness of hair removal. Here are a few other things you should look for in an epilator tool for Brazilian treatments at home. Cordless: While there are many fantastic corded epilator tools on the market, many women prefer cordless models that won’t get in the way. Tweezers: The number of tweezers determines how many hairs are pulled out at once. You want a device with fewer tweezers for Brazilian treatments. Light: Some epilator models come equipped with a built-in light. While not required for hair removal, a light can be helpful when using in dim-light areas. Attachments: When shopping for the best epilator for Brazilian, take notice of any attachments. Some epilators feature trimmer attachments for hair trimming. Hair removal in the bikini area is highly popular in modern times. 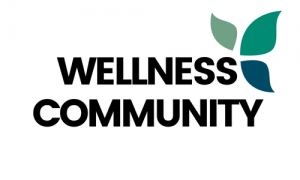 In fact, research published by the Department of Obstetrics and Gynecology reported that just 8.6 percent of women had never groomed their intimate hair. While well-favored, many women prefer to groom at home rather than undergo a Brazilian at a local spa or salon. For these ladies, the Braun Silk-épil SkinSpa Wet & Dry Cordless Epilator is a god-send and our top pick for the best epilator for Brazilian. This innovative epilator is a combination wet and dry epilation system, meaning it also works in the bath or shower in addition to dry areas. With a pivoting head and pulsating vibration, the device smoothly glides over every contour of the body, making the process virtually painless and very efficient. Another great perk is the smartlight, which helps you see very fine hair during removal. What makes this the best epilator for Brazilian is its effectiveness. Braun Silk-épil epilators are able to remove 4x shorter hairs than with traditional waxing, which is important feature when dealing with the unpredictable bikini area. Best of all, the results of the epilation provides the user with instantly smooth skin that lasts for upwards of four weeks. This next epilator is actually a bundle that includes everything you need to achieve flawlessly smooth skin at home. 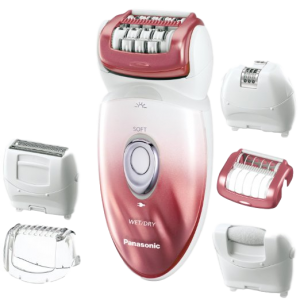 The Panasonic Wet/Dry Epilator and Shaver is the ultimate multi-functional women’s electronic razor with a high-performance epilator for fast and efficient hair removal. 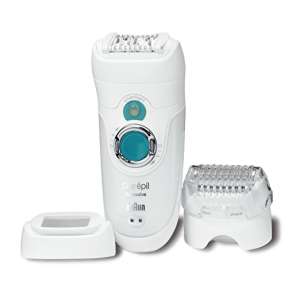 In addition to a dual-speed motor, the combination epilator and shaver has six snap-on hair removal and pedicure buffer attachments. The smooth-pivot shaver head features hypo-allergenic blades and foil to ensure the safe removal of hair, even on sensitive skin. A pop-up trimmer is also attached to catch those long or stray hairs that you may have missed the first time around. The wide dual-disc head with 48 rotating tweezers easily make this device the best epilator for Brazilian, as it conforms to the unique shape of the bikini area. Whether you prefer to shave in the shower or out, this wet and dry epilator has you covered. It’s 100 percent waterproof and washable and can be fully immersed without damage. You can even add your favorite soap, foam, or shaving gel in the shower or bath to help clean and moisturize your skin as you remove unwanted hair. When you’re finished, the epilator rinses clean under running water. When shopping for the best epilator for Brazilian, size matters. The Philips Satin Perfect Deluxe Epilator fits comfortably in your hand and is compact enough to easily remove hair throughout the bikini area with ease. The hypo-allergenic ceramic discs quickly catch and remove even super fine hair for smooth, flawless skin. The active hairlifter also vibrates to remove even flat-lying hairs. This top-rated epilator features an active massage system that gently pulsates and stimulates the skin as it removes hair. You’ll also find that the device comes equipped with trim, shave, and style attachments to help you achieve an even closer shave. The washable epilation head promotes better hygiene and the cleanup after a shave is easy. Just rinse the epilator under running water and clean with the included cleaning brush. 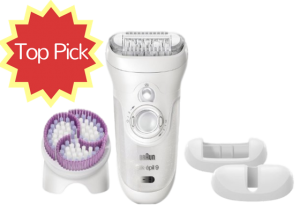 • This epilator does it all! Braun is known in the world of beauty for their innovative, high-quality products. The Braun Xpressive Body System Rechargeable Wet & Dry Epilator is no exception. Due to its wet and dry functionalities, this epilator can be used in or out of the bath or shower. It works effectively by lifting, loosening, and gently removing hairs at the root, including flat lying and short hairs that are often difficult to remove with standard waxing. 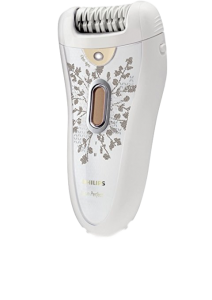 In addition to contouring the body perfectly for hair removal thoroughness, the epilator also stimulates and soothes the skin to reduce discomfort. What makes this the best epilator for Brazilian is its ergonomic design, fully washable head, and smartlight that helps you reveal even the finest of hairs. Olay Pre-Epilation Wipes are also a major plus that makes the skin feel even softer and smoother post-hair removal. This rechargeable epilator has two speeds to allow users to choose one that best fits their comfort level. It contains 40 unique tweezers that work quickly to grasp hairs at the root and pull them out for hair-free skin. You’ll also find other great features, such as a pivoting head that can pivot up to 15 degrees forward and backwards, as well as a trimmer cap that is ideal for the bikini area and long hairs. If you want the best epilator for Brazilian on a budget, you can’t go wrong with the Emjoi Soft Caress Epilator Gold Plated Hypoallergenic Tweezers. This rechargeable epilator offers a luxurious approach to hair removal. The 24 karat gold plated hypoallergenic tweezers remove hair quickly with little to no pain. 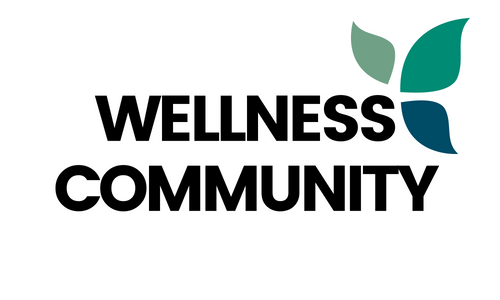 Another great feature is the antimicrobial protection that creates a barrier between the skin and damaging bacteria. This popular hair removal tool has 36 patented tweezer-discs that grab both short and long hairs from the roots. 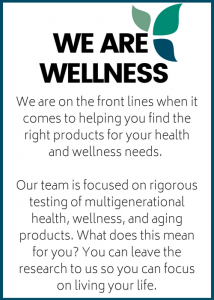 Its innovative design can be used on nearly any part of the body, including the underarms, legs, and bikini line. Unlike other epilators, this device operates with a cord or cordless. The soft touch grips fit comfortably in your hand and the pivoting head smoothly glides across the contours of the body. Another great feature of this epilator is that it comes with massaging finger attachments, an adapter, cleaning pouch, travel pouch, loofa, and instruction booklet. This compact bundle is perfect or at home use or for travel. In addition to being used for Brazilian treatments, the versatile epilator is also gentle enough to remove individual hairs on the chin and upper lip.